I’ve been making the transition throughout the past few months to cooler makeup products. 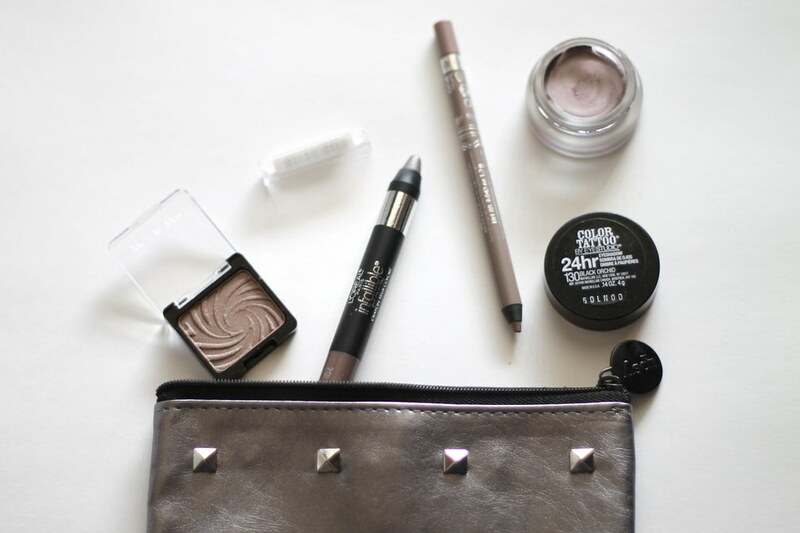 Sure, I love golden, bronzey eyeshadows as much as the next girl—but recently, taupe has been my thing. It’s not quite grey. It’s not quite brown. It’s not quite purple. It’s the best of all worlds. The drugstore has been killing it in the taupe department. Wet n Wild Color Icon Eyeshadow Single in Nutty is 99 cents and delivers the slightest bit of shimmer (in a good way). I like to layer that eyeshadow over another taupe base, such as Maybelline Eye Studio Color Tattoo Eyeshadow Tough As Taupe or L’Oreal Infallible Eye Shadow Crayon in Forever Taupe. If I’m looking to add a little bit of pizzazz, Rimmel ScandalEyes Waterproof Kohl Eyeliner in Taupe works wonders on my lower lash line.